Are all bottled waters healthy? No! Hi guys! This Life Hacker tests the pH balance of popular bottled water & its highly enlightening! Do the test yourself! Here’s the link NJOY! The pH of any solution is the measure of its hydrogen-ion concentration. The higher the pH reading, the more alkaline and oxygen rich the fluid is. The lower the pH reading, the more acidic and oxygen deprived the fluid is. The pH range is from 0 to 14, with 7.0 being neutral. What is the normal range of pH for drinking water? In general, a water with a pH < 7 is considered acidic and with a pH > 7 is considered basic. The normal range for pH in surface water systems is 6.5 to 8.5 and for groundwater systems 6 to 8.5. Alkalinity is a measure of the capacity of the water to resists a change in pH that would tend to make the water more acidic. What is the PH of tap water? 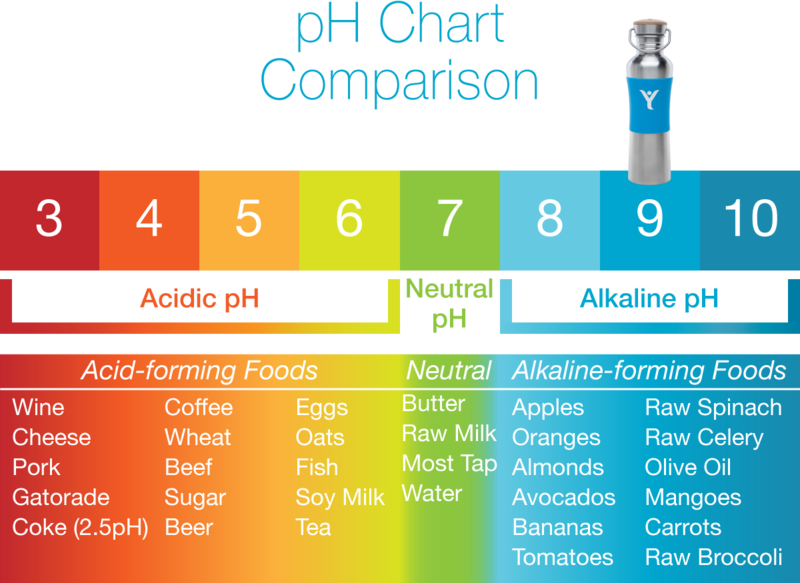 pH is a measure of acidity or alkalinity. The water quality regulations specify that the pH of tap water should be between 6.5 and 9.5. Water leaving our treatment works typically has a pH between 7 and 8, but this can change as it passes through the network of reservoirs and water mains. What is a woman’s PH balance? How to make Alkaline water!